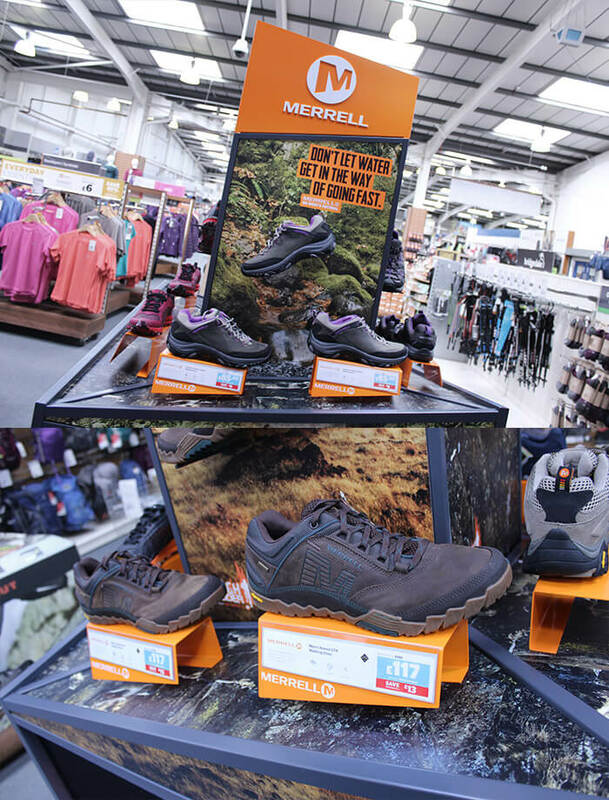 The outdoors are an unpredictable landscape of hot and cold, wet and dry, up and down, sharp and smooth. 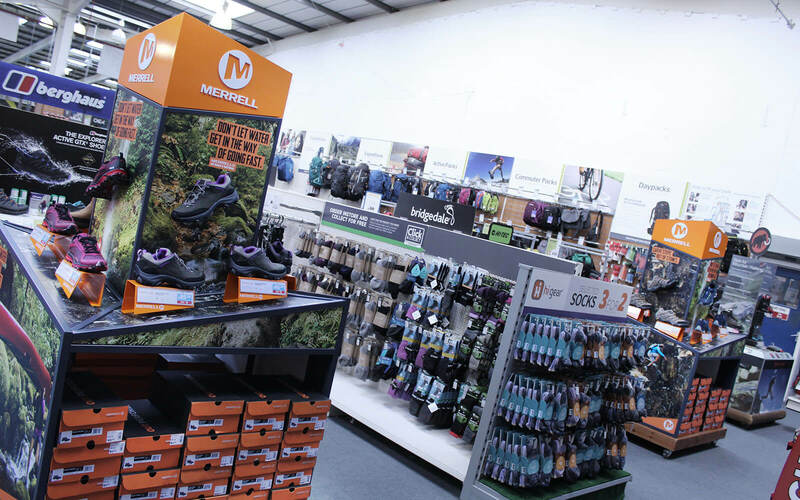 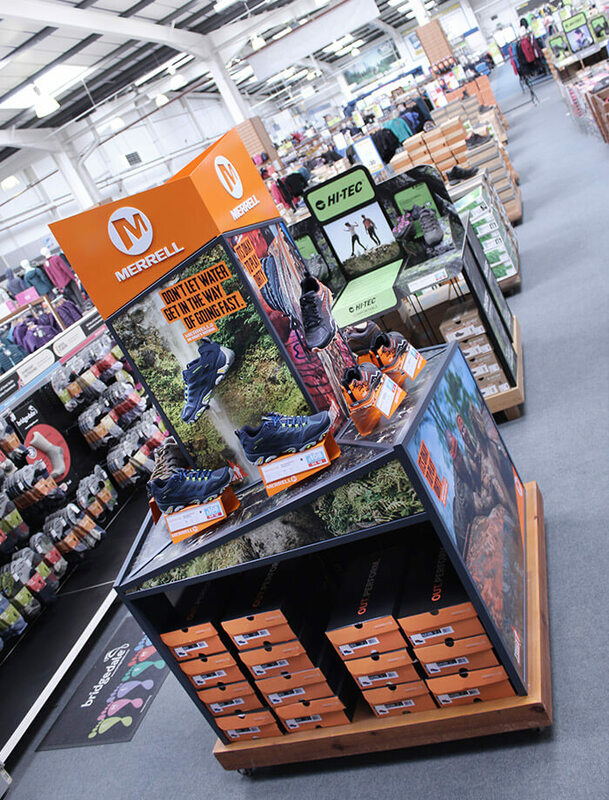 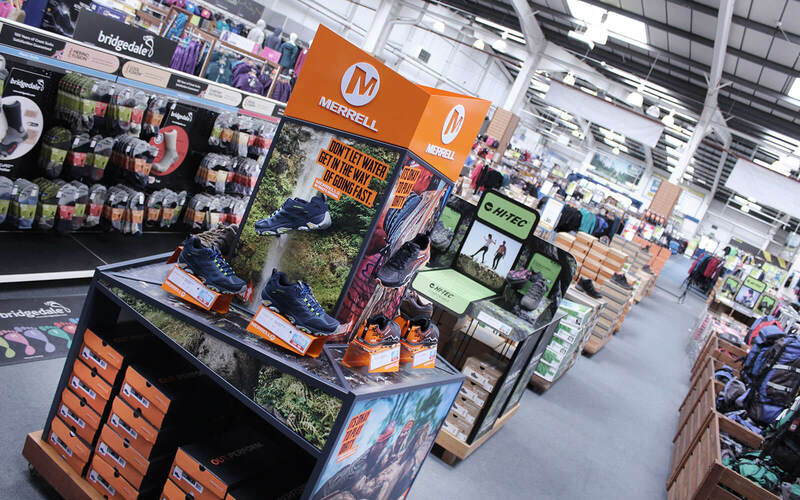 To communicate this through the medium of a 3-dimensional in-store display, we developed a free standing unit for Merrell in Go Outdoors. 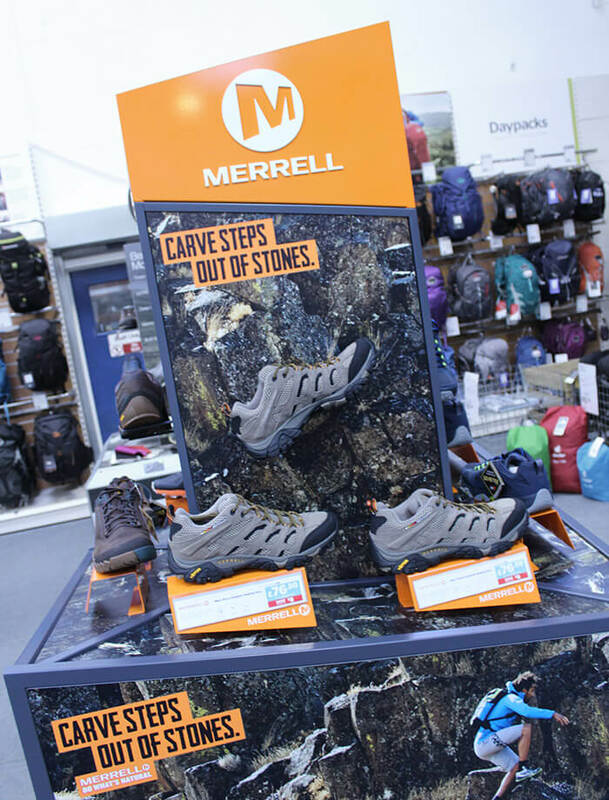 The opposing angles and seemingly impossible asymmetric shape evokes the unpredictable nature and spirit of the great outdoors. 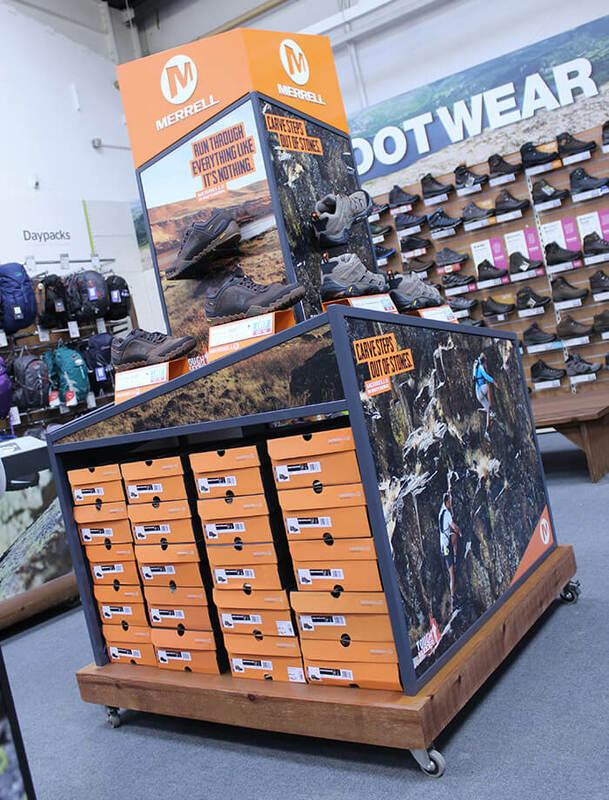 All graphic panels are interchangeable for future updates, and the lower section stocks 3 times more boxed product than the previous iteration, suiting Go Outdoors’ self-service retail offering.